CLEVELAND - Millions of fans flocked to theaters to see him as the “God of Thunder” in the Thor and Avengers franchise blockbusters. Later this month, they can meet Chris Hemsworth in person as he headlines Wizard World Cleveland on Saturday, February 27, 2016, at the FirstMerit Convention Center of Cleveland, Ohio. Hemsworth will sign autographs, pose for photo ops and conduct a Q&A panel, as announced today by Wizard World, Inc. (OTCBB: WIZD), a leading producer of comic con, gaming and pop culture events. 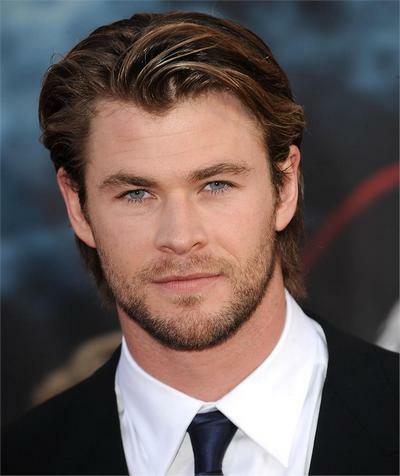 One of Hollywood's fastest-risers, Hemsworth was first introduced to U.S. audiences in Star Trek in 2009. Three years later, Hemsworth also starred in Universal’s big revisionist fairy tale Snow White And The Huntsman opposite Charlize Theron and Kristen Stewart and in the horror feature The Cabin in the Woods. As prolific as 2012 was for the Melbourne, Australia, native, 2015 was even bigger, with four feature films including The Avengers: Age of Ultron, In the Heart of the Sea, Vacation and Blackhat . He also will play the lead in the sequel The Huntsman Winter's War and a key role in the reboot of Ghostbusters, both scheduled for release this year. Wizard World Cleveland will mark Hemsworth's third Wizard World appearance. He was a huge hit in Sacramento in 2015 and in Philadelphia in 2012, and this year joins an already star-studded celebrity roster in Cleveland, as the “Doctor Who” duo of Matt Smith and Karen Gillan, “The Walking Dead” tandem of Chandler Riggs and Michael Rooker , Robert Englund ( A Nightmare on Elm Street) and Frank Grillo (Captain America: The Winter Soldier) are the early commitments to one of Wizard World’s most popular comic con events. Wizard World comic and gaming con events bring together thousands of fans of all ages to celebrate the best in pop-fi, pop culture, movies, graphic novels, cosplay, comics, television, sci-fi, toys, video gaming, gaming, original art, collectibles, contests and more. The third event currently scheduled on the 2016 Wizard World calendar, Cleveland show hours are Friday, February 26, 3-8 p.m.; Saturday, February 27, 10 a.m.-7 p.m.; Sunday, February 28, 10 a.m.-4 p.m.
Wizard World Cleveland is also the place for cosplay, with fans young and old showing off their best costumes throughout the event. Fans dressed as every imaginable character – and some never before dreamed – will roam the convention floor and participate in the famed Wizard World Costume Contest on Saturday night. For more on the 2016 Wizard World Cleveland, visit http://wizd.me/ClevelandPR . Wizard World, Inc. (www.wizardworld.com ) produces comic, gaming and pop culture conventions across North America that celebrate the best in pop-fi, pop culture, movies, television, cosplay, comics, graphic novels, toys, video gaming, sci-fi, gaming, original art, collectibles, contests and more. A first-class lineup of topical programming takes place at each event, with celebrity Q&A's, comics-themed sessions, costume contests, movie screenings, evening parties and more. Wizard World has also launched Wizard World Store ( www.shopwizardworld.com), CONtv, a digital media channel in partnership with leading independent content distributor Cinedigm™ (NASDAQ: CIDM), and ComicConBox™ ( www.comicconbox.com), a premium subscription-based monthly box service. Fans can interact with Wizard World on Facebook, Twitter, Pinterest, Instagram and other social media services. The Wizard World 2016 schedule is available at: http://wizardworld.com/searchby/city/ .